The new Election 2019 section on Airtel TV will be offered in eight regional languages - Tamil, Telugu, Kannada, Malayalam, Marathi, Bengali, Gujarati and Oriya in addition to English and Hindi. Popular network carrier Airtel announced a new feature on its multi-media app Airtel TV that will offer the latest update about the ongoing Lok Sabha 2019 elections in India. 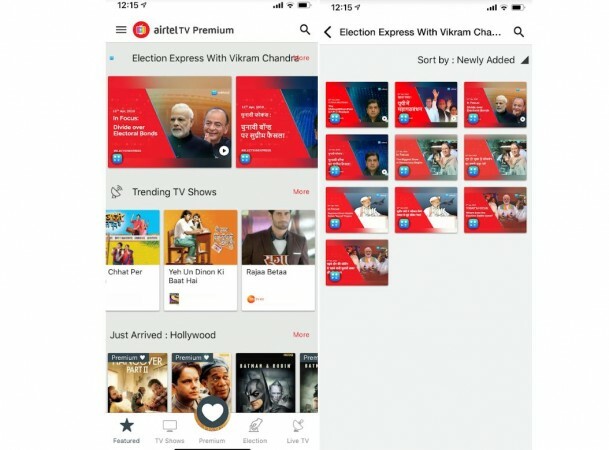 Airtel TV users will now be able to see the special 'Election 2019' section to access curated content from across sources - live news TV channels, short news bulletins, collection of top interviews and expert analysis, all on a single screen. Furthermore, Airtel TV app users will also have access to exclusive election news bulletins from Editorji. This will include Daily Election capsules - "Election Express with Vikram" hosted by renowned journalist Vikram Chandra. 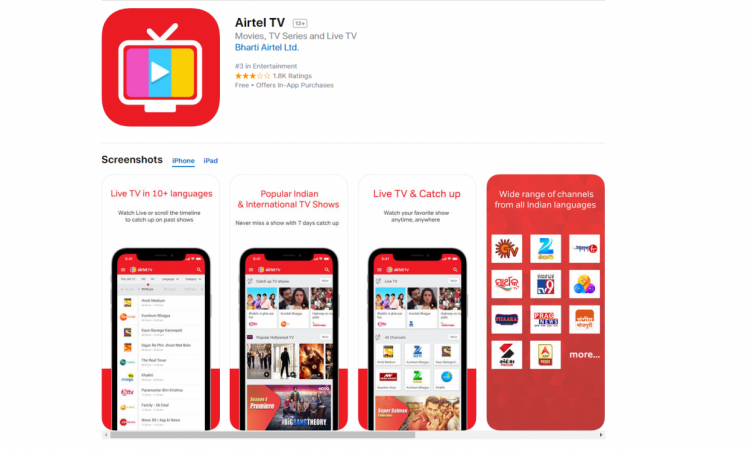 Considering multi-lingual diversity of India, Airtel TV app's 'Election 2019' section will have state wise election updates in eight regional languages - Tamil, Telugu, Kannada, Malayalam, Marathi, Bengali, Gujarati and Oriya, besides English and Hindi. "General Elections in India are high interest and high engagement event and people are constantly looking for news and analysis around the event. With Airtel TV's special election section, we have made the app the one stop shop for all election-related updates – curated in convenient and snackable format. In particular, there is curiosity around what's happening in a customer's state/constituency, so we are making state wise updates available in regional languages to drive stickiness. Meanwhile, customers can easily switch from their favorite movies and shows to election on Airtel TV with a single touch of the screen," Sameer Batra, CEO – Content & Apps, Bharti Airtel said in a statement. In a related development, voters are advised not to take phones to the poll booths. Except the officials deployed for election duty and the police personnel, all are banned to use or take mobiles within 100 meters radius of the polling booth. If people are found violating the order, they will be charged under various Indian Penal codes including the Representation of the People Act. Also, if any citizen comes across candidates indulging in malpractices such as voter appeasement activities offering money, sari, consumer goods in their constituency, they can register a complaint with image or video evidence to Election Commission via cVIGIL smartphone app. There is also an anonymous option so that users can file a complaint without divulging personal information.